Cuban Chicken roasted in the oven after a Mojo Marinade is applied. Each juicy bite is herb filled with a citrus mojo sauce. Easy comfort food for casual weeknights, but special enough you can serve it for guests to rave reviews! Cuban chicken is an easy comfort food meal that came about because I couldn’t find a pork roast to make my Cuban Mojo Pork recipe. They had fresh whole chickens on sale so it was a win win at the market. A great price and a healthier comfort food classic with lots of flavor. This is a comfort food recipe that works equally as well to serve for a weeknight dinner recipe but is special enough that you can serve it to guests who I guarantee will ask for the recipe. 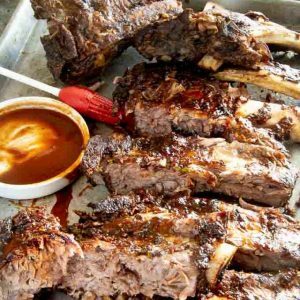 Mojo Marinade is a sauce that typically hails from Cuba and is a flavorful marinade that has cilantro and mint along with the citrus juices of orange and lime. 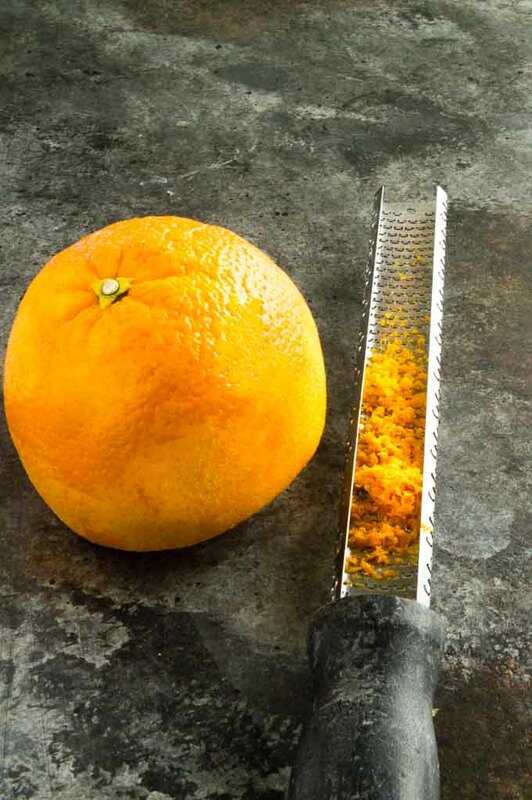 The orange zest gives an extra depth of citrus flavor. You can marinate the chicken in the sauce over night for extra flavor or follow the pocket stuffing method I’ll show you in this post. You can use it both to marinate before cooking and as a sauce after cooking on the side. It works equally well mixed into simple pasta or rice as it does as tossed at the last minute to brighten up roasted vegetables such as green beans or Brussels sprouts. Ive even used it as a salad dressing. It’s very versatile. The Mojo Sauce it self has a beautiful texture from the pureeing herbs but the citrus juices and olive oil make it easily spoonable. 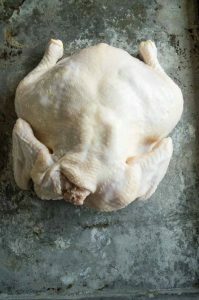 What is the best type of chicken for Roasting? There are two types of chickens at the market. Broiler/Fryers and Roasters. The difference between them is their age/size. 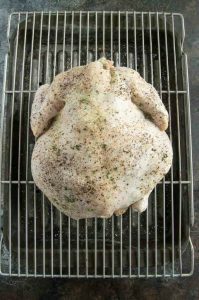 Broilers/fryers are smaller (3-4 pounds) and can dry out in roasting if you don”t have a marinade or baste with them. They have less fat too. Roasters are bigger and they have a little more fat so the chicken tends to be moist and not dry out whether you have a marinade or not. I recommend the roaster because of their size. They are usually about 5-7 pounds and that can feed more people or give us leftovers and I don’t have to worry about it being too dry when cooking. How do you get a juicy, flavorful bite every time in Cuban Chicken? 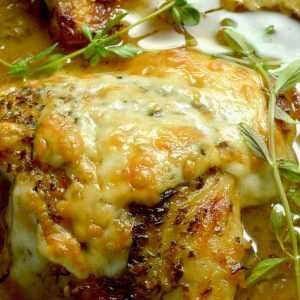 This Cuban Mojo Chicken recipe uses a combination of a butter/mojo mixture placed into a pocket just underneath the skin as well as basting the chicken with the mojo marinade as well. At the center neck you will gently place your fingers between skin and meat. Continue to create pocket very gently to not tear skin all the way through in each chicken piece. Easily distribute mojo butter mixture in all pockets created. Place fingers at neck for pocket. Gently slide fingers between skin. Place flavor butter in pocket. Push butter into all areas. You will also continue to baste chicken with the mojo sauce several times while cooking for maximum flavor. Once cooked boil the sauce to cook any raw chicken juices. Rest Chicken before cutting so that marinade absorbs back into the chicken. Serve with mojo sauce over the top. What side dishes will work with Cuban Chicken? You can make the Mojo sauce part of the recipe a couple of days ahead of time. Just store it in the fridge in sealed container until you are ready for it. Stir well when you remove it from the fridge. You can also prepare the chicken completely up until the step the it goes into the oven. Store covered in the fridge for 24-48 hours before you are ready to bake it. Remove from the fridge when you go to heat your oven. Remove Chicken from the package and remove inner parts and set aside for another use or throw away. Rinse Chicken then pat dry. Into a bowl of a food processor, add olive oil, orange zest, orange juice, lime juice, cilantro, mint, garlic, oregano, cumin and brown sugar. Pulse until well blended. Place mojo sauce into a sauce pan and set aside. 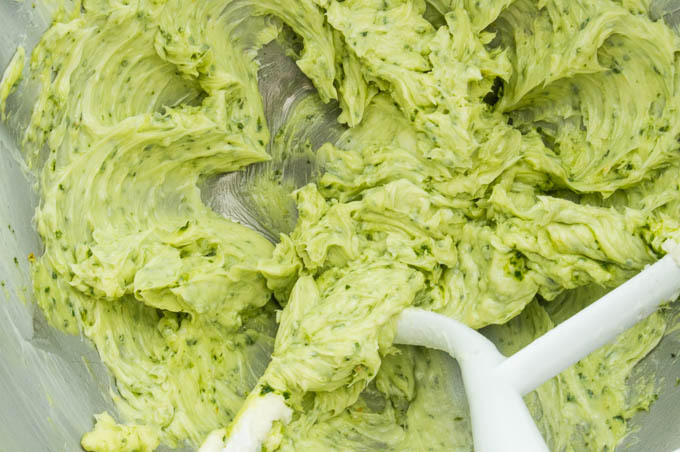 Into a small bowl or in the bowl of an electric mixer place the butter and 1/3 cup of prepared mojo sauce. Mix until well combined. Set aside. Once the pocket is created you will use your fingers to evenly distribute the mojo butter mixture in all parts of the chicken. Re-dry chicken with paper towel then salt and pepper generously all sides of whole chicken. Place chicken breast side down on a roasting rack. You can create your own if you don't have one with a wire rack over a cookie sheet. Adjust rack to lowest level and roast chicken for 20 minutes. Remove chicken from the oven, brush the bottom with mojo marinade and flip chicken so that the breast is now face up. Brush the top with additional marinade. Put back into the oven and roast for 20 more minutes. Remove chicken from oven and place on a cutting board, tent with foil and let rest for 20 minutes before carving. While chicken in resting, heat the mojo sauce to high and cook for 10 minutes to cook any raw chicken juices that transferred when basting. Be sure and not use the brush again in the cooked marinade so as not to have any raw chicken juices in your sauce. Serve sauce on the side or spoon over top when serving. 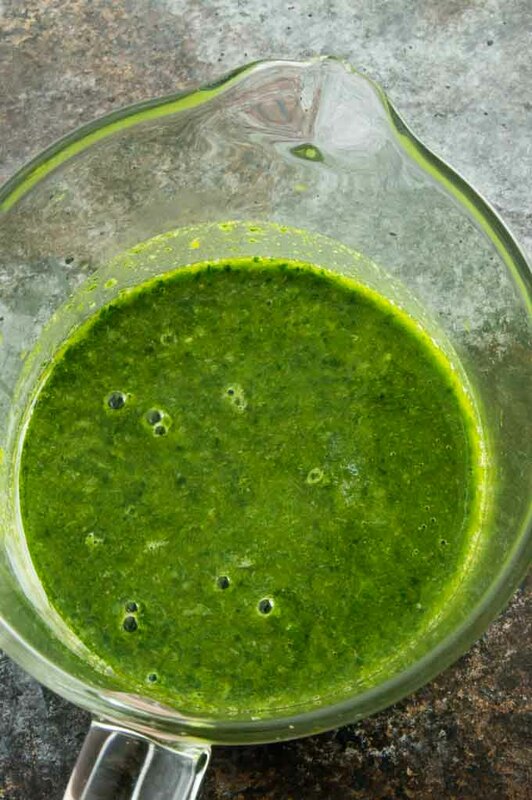 This sauce works equally wonderful stirred into pasta or rice as a side dish. It also works to toss freshly cooked vegetables in. So you roast the whole time atvr25 on lowest shelf? I am so in love with this mojo marinade! The herbs and spices and citrus… These are a few of my favorite things! I’ll be making this right after Easter! I am salivating while reading your post. 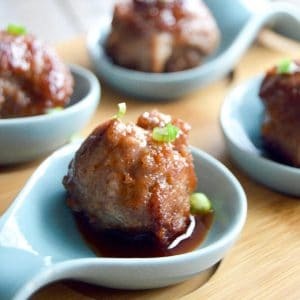 That chicken sounds and looks amazing, tender and full of flavor! The beautiful crispy skin is calling my name. I am a huge fan of Cuban flavors and this recipe is easy and one everyone will love. 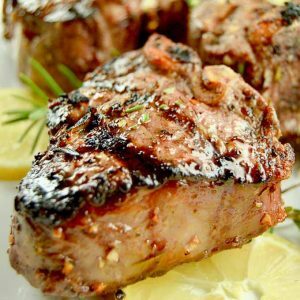 What a delicious and versatile marinade! I learnt a lot in this post. 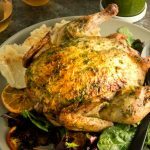 I’ve certainly never heard of Cuban chicken before and there are so many helpful tips in the post, especially the stuffing how-to!!! This is definitely one to be bookmarked next time I’m roasting a chicken. YES, please! I am such a fan of mojo sauce, and adding some of it to butter for this chicken sounds amazing! 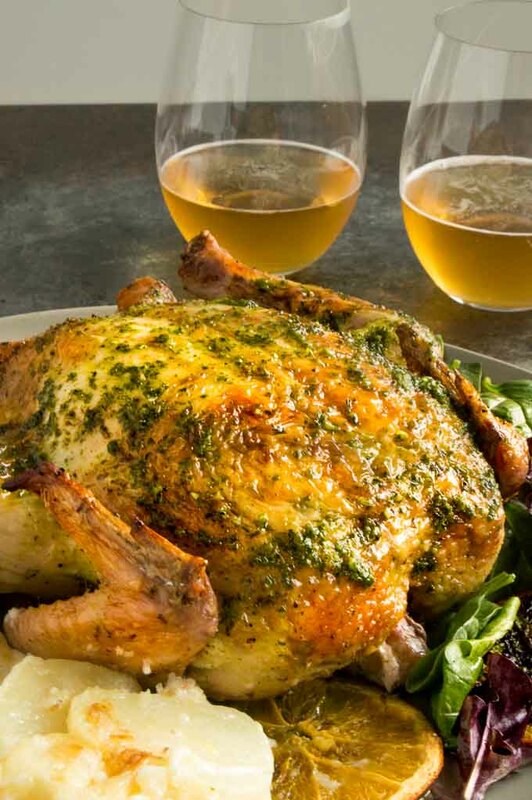 This is such a fantastic way to liven up roasted chicken. 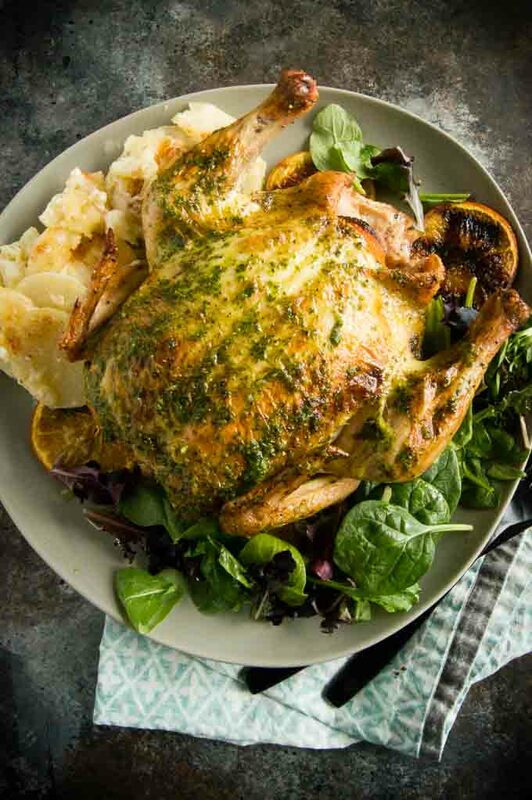 This will definitely be on our table for our next chicken dinner!